Drupal 7: Reporting and Visualizing Data (4h24m). There are a few free videos for each course at the above links, and a free 7-day pass gives you access to both full courses, along with hundreds of other from lynda.com. …and the one from “Drupal 7: Reporting and Visualizing Data”. Thanks for letting me know about it. When I was preparing the course a few months ago, I searched for a Commerce-ready theme but couldn’t find one that was ready. I’m very glad to hear that they’re starting to come out! Thanks for this great course!!! What’s the big difference between Drupal Commerce and Ubercart? I would actually stay clear of Ubrercart and move to Drupal Commerce. This is where the community is trending and where the most innovation is happening. 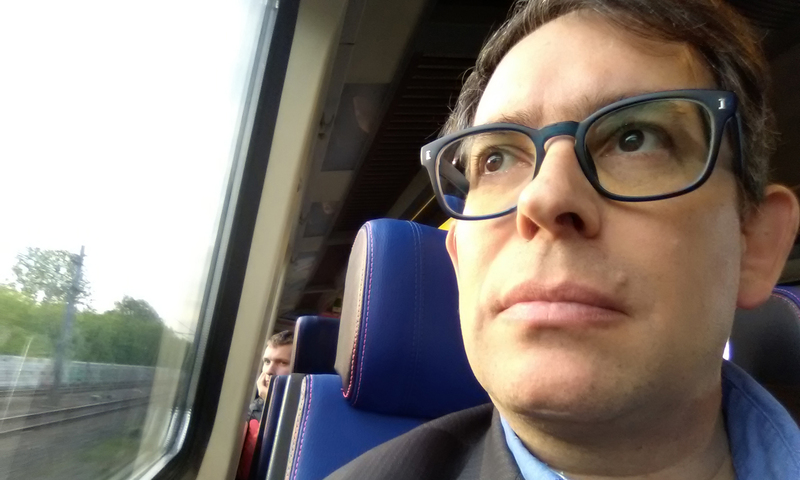 Listen to the Drupal Voices podcast with Ryan Szrama giving some context around the differences between Ubercart and Drupal Commerce and why he parted ways with the project. Übercart is available for Drupal 6; Drupal Commerce isn’t. Übercart has a code legacy for several years (for better or worse); Drupal Commerce was built from scratch more recently. Drupal Commerce makes fewer assumptions about how you’re going to run your store. Related to that, Drupal Commerce is more freeform in its design. In Übercart, you do something new by installing a module (if it exists); in DC, you often just change some rules. Personally: I don’t know the background of people who are currently maintaining Übercart. Drupal Commerce’s leadership created Übercart before moving on. A Google search for “Ubercart vs Drupal Commerce” is also instructive. Really enjoying the Views 3 videos. After this it’s on to Commerce. Really appreciate your work on these! I was wondering if you could list out all of the additional modules you installed during the video? Maybe put the list under the FAQ tab of the course page? I kinda like to just watch the videos (w/o pausing to download stuff, etc) and then later get those modules. It would be handy. Hey, Loren. That’s a really good idea! I just have to get around to it…. How frustrated are you with your current (WordPress) site? How much effort do you think it will take to convert to Drupal? How much benefit will you get from converting to Drupal? Only you can answer the first two questions. For the third, I can say that Drupal Commerce is very good — but I don’t know how it compares to solutions available for WordPress. Do you? If not, maybe look at other commerce-for-WordPress packages before making your decision. 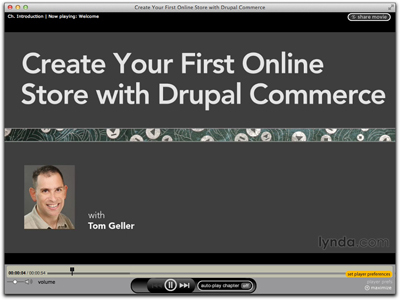 By the way, lynda.com recently release my course about Drupal Commerce: See http://www.lynda.com/Drupal-Commerce-1-0-tutorials/Create-Your-First-Online-Store-with-Drupal-Commerce/80587-2.html . I’m not frustrated with wp, but if I do want to go e-commerce, I don’t think wordpress is any good for it… and magento doesn’t seem like that much of an option either. Drupal is alright, but there’s the thign about not even knowing how to handle a basic drupal website, let alone the commerce side of it. Thanks anyway Tom. Hey Pedro, in my opinion Drupal is far better than WP now. I wasn’t an expert web developer. I started learning drupal platform few months age and now I’m able to run the basics. For me, it wasn’t a hard task. So, as you already experienced with WP, you’d also be able to master Drupal. With such excellent modules, Drupal is actually emerging as the next revolution in the world of World Wide Web.